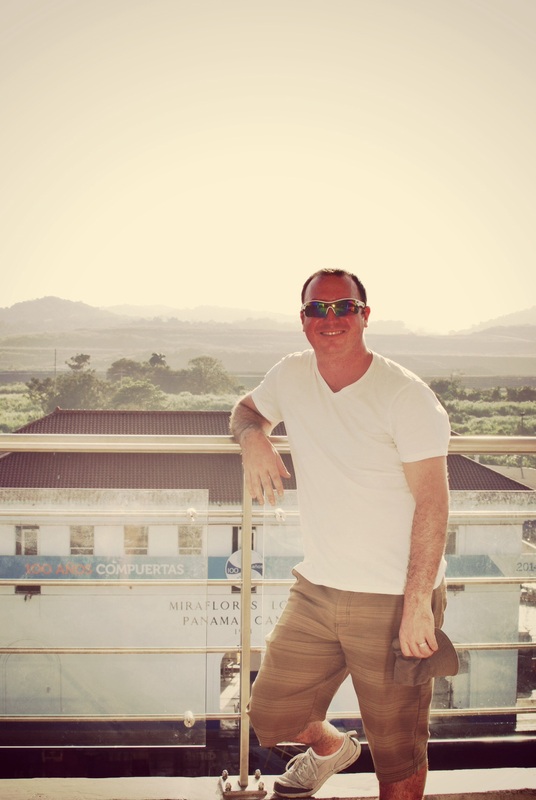 Panama City was a great starting point for our adventures into South America — I’d definitely recommend it to anyone heading to South or Central America. 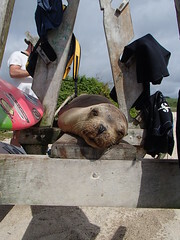 It was much bigger than any cities we passed through in our previous travels to Costa Rica and Belize. And way more modern, but with a distinctly Central American feel. The juxtaposition of everything made this an especially interesting stop: tourists and locals, poverty and wealth, old colonial ruins and brand new skyscrapers. 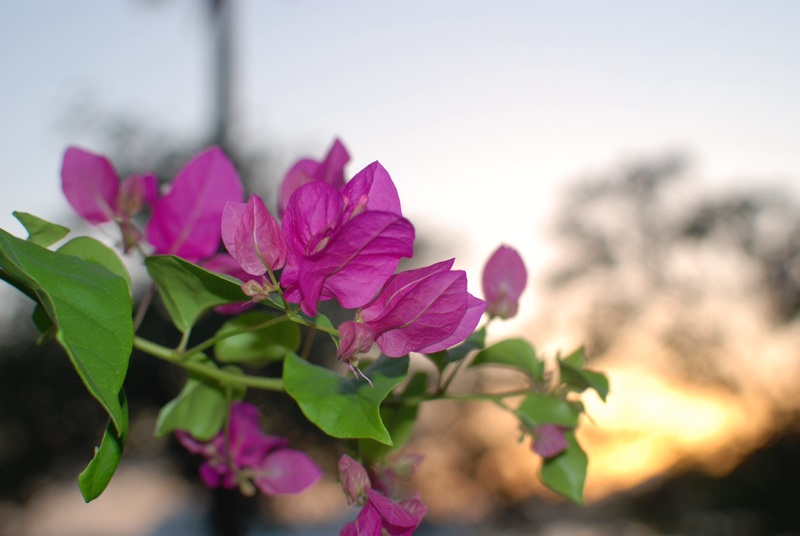 Our first few days in Panama City were a mix of relaxation and exploring. And trying to remember / learn key phrases in Spanish. I quickly realized that much of what I learned in high school was either forgotten or not incredibly useful. While I could conjugate an irregular verb I was at a complete loss to understand directions to the bathroom. It’s something that I’ve noticed with a lot of U.S. schools (maybe elsewhere too?) — everything is taught to pass a test, not necessarily learn in a way that can be applied to real life. But, we’re working on it! The first time I successfully haggled our taxi fare down in Spanish was one of my proudest moments. 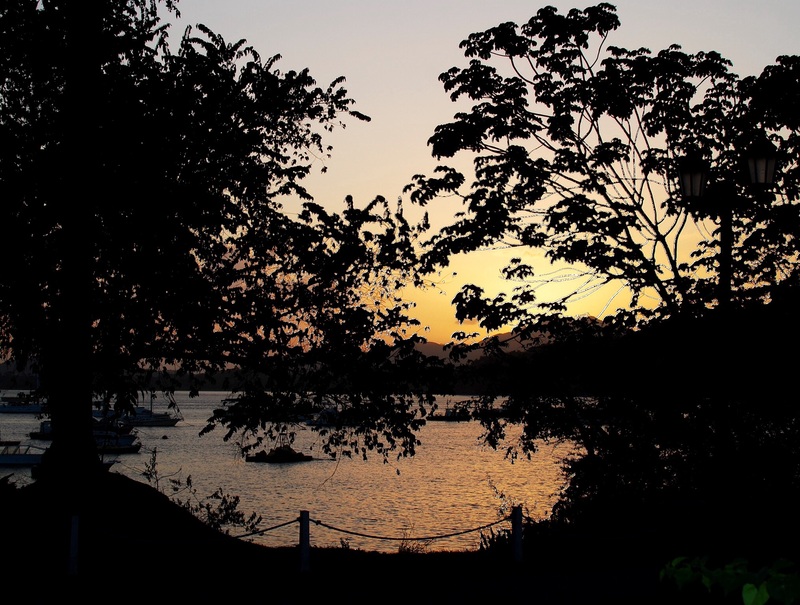 We had booked the first few nights at The Country Inn and Suites by the Panama Canal at the recommendation of one of Kyle’s coworkers who was originally from Panama. A bit outside of the noise of downtown and with all the comforts of a US hotel chain it was an easy transition into our travels. The hotel was clean, and modern with comfortable beds, air conditioning, and a pool with views of the canal. Plus it included free breakfast and cookies! The only downsides were the over-priced taxis and the on-site TGI Friday’s. 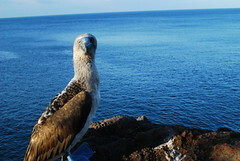 I suppose with a captive audience of mostly tourists both were to be expected. View of the canal from our room. This is the same ship we saw going through the locks an hour earlier! 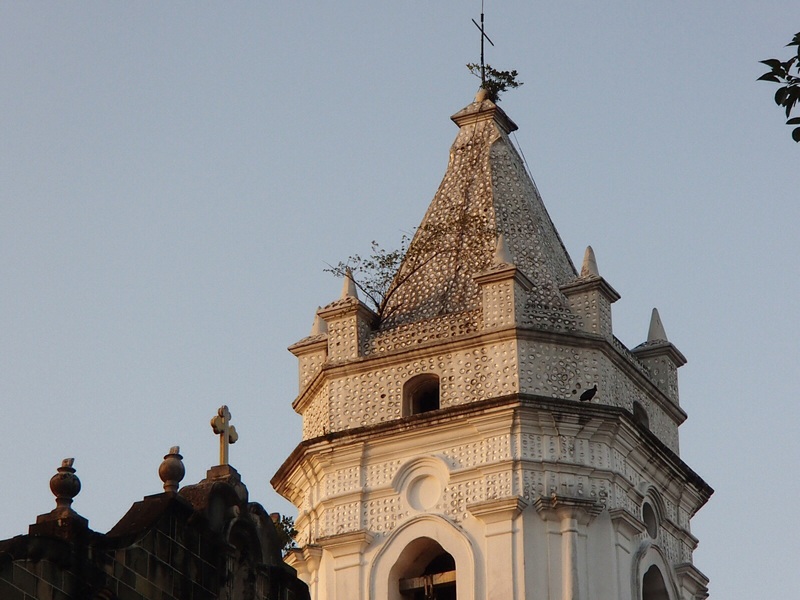 An old church in Casco Viejo. This old colonial part of the city is a must-see. It’s incredible to see the transformation happening here. 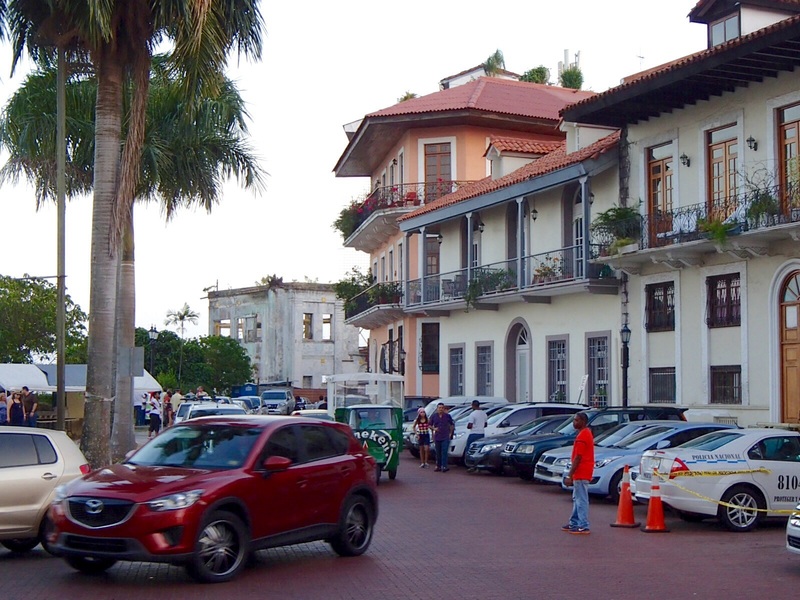 Crumbling colonial buildings completely overgrown with vegetation are side-by-side with newly restored bars, restaurants, hotels, and condos. The squares with their old churches and outdoor restaurants are also fun to check out. We didn’t have a chance to wander too much this time — by the time we got to Casco Viejo it was only a couple hours before dark, and the heavy military/police presence and warnings from shop owners not to go past 11th Street put us a bit on edge. We had seen the slums that boarder the town on our taxi ride in and the warnings did not appear to be exaggerated. Though we did later learn that the military presence is partially attributed to the presidential palace being in Casco Viejo. Old and new in Casco Viejo. 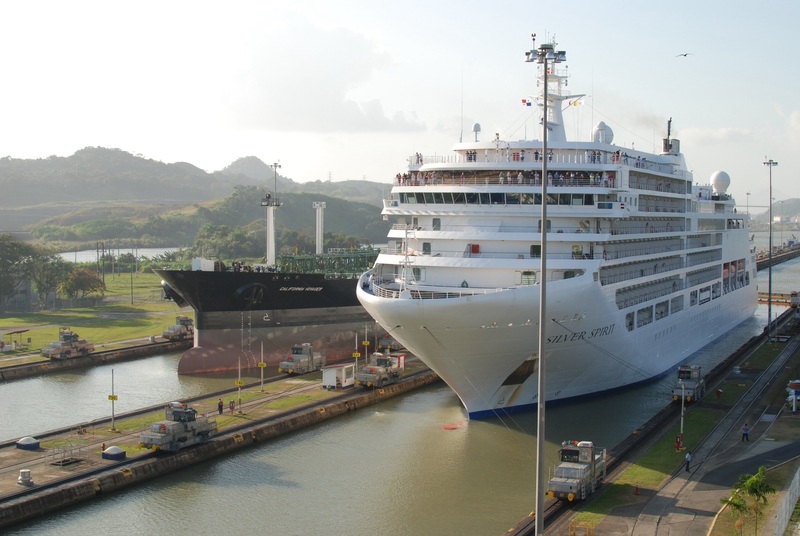 The Miraflores Locks are the prime viewing spot for ships going through the canal. You can watch cargo ships and gigantic cruise ships come in and get ushered from Lago Miraflores out into the open ocean. There’s also a multi-level museum that details the history of the locks, as well as a film that we unfortunately missed due to poor timing (the locks close at 5:30 and it was already 4:30 by the time we arrived). 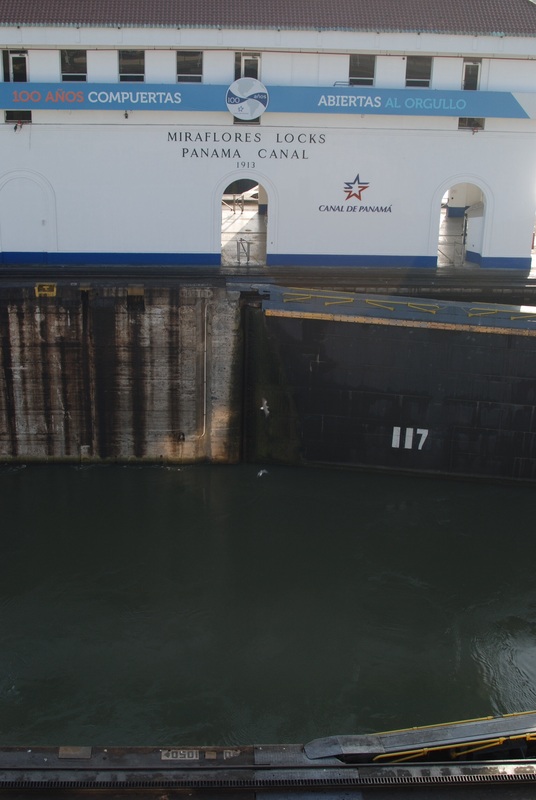 We did get to watch a ship pass through the first set of locks – so cool! We had also pre-arranged with our cab driver to pick us up when the locks closed so getting back to our hotel was easy (our Spanish was improving…a little!). A cruise ship and cargo ship preparing to enter the locks. 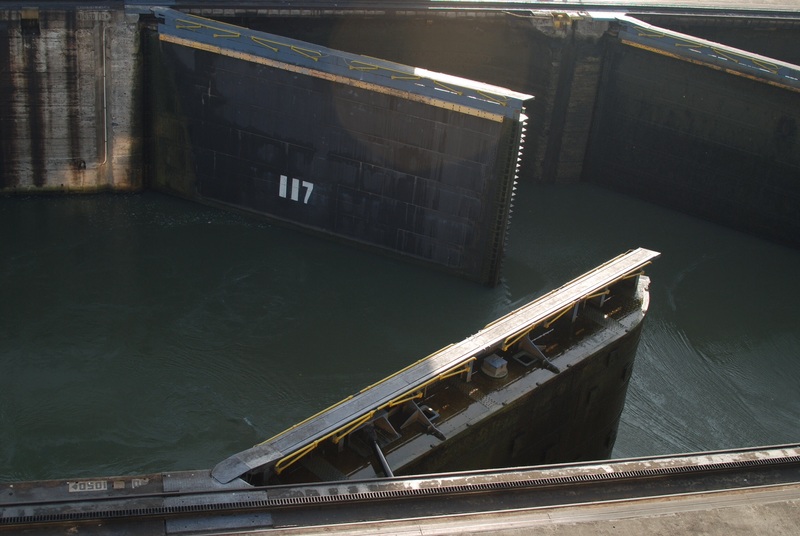 Opening the locks at Miraflores. 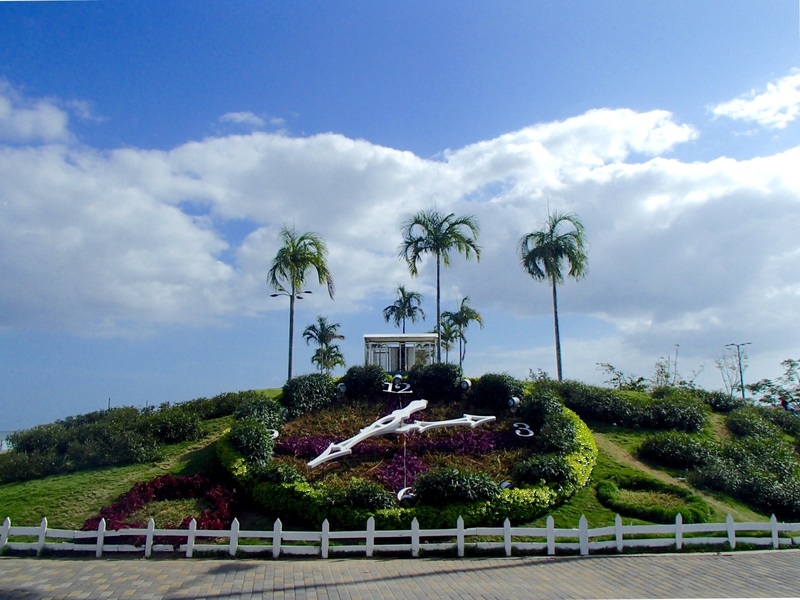 A nice urban park, worth a stroll for some good pictures of the Panama City skyline after lunch at the Mercado de Mariscos. Giant clock in Balboa park along the waterfront. We opted to walk the mile to the Causeway from our hotel along the canal path, and then about 3 miles further down the Causeway. It was nice to get some exercise in and overall felt really safe. However the heat and construction made it just OK. I’d suggest checking it out in the early morning (before it gets too hot), and only after the construction is done, since the view of the city is almost entirely obscured by temporary walls. 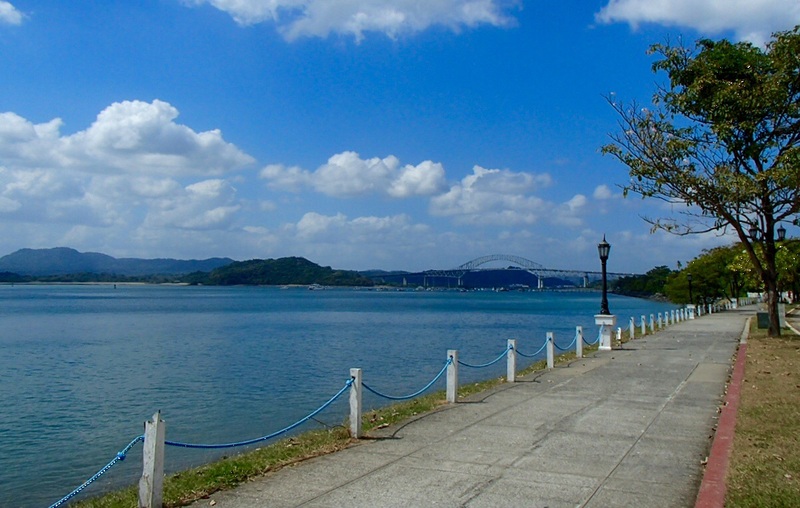 The Bridge to the Americas, from the Amador Causeway. Our first stop on Day 1 was this local fish market just outside of Casco Viejo. It was cool to go inside and see all of the fresh fish for sale, but the highlight was definitely the ceviche from the vendors outside. 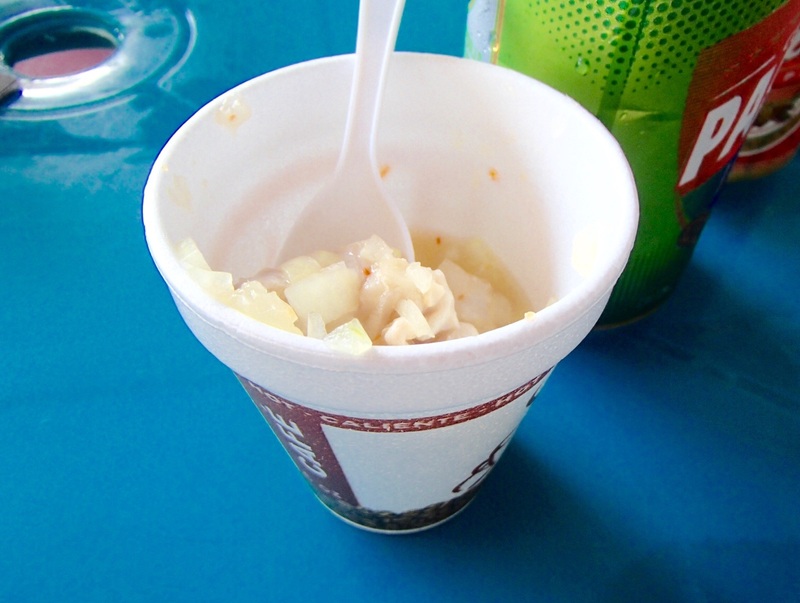 One of many cups of fresh ceviche from the vendors outside the fish market. We skipped the restaurant in the market and instead spent a few hours sampling the $1.50 – $3.50 cups of ceviche and $1.50 local beers. It was fun trying to translate the menus to figure out what we were ordering. 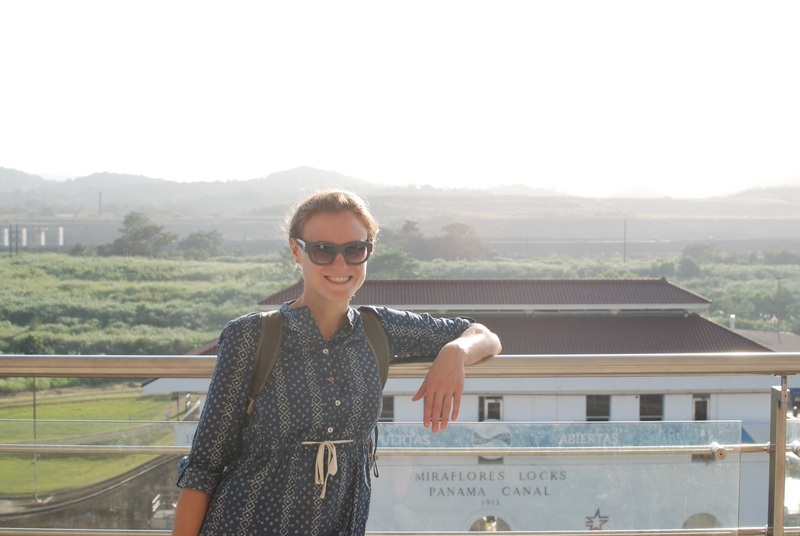 We did have a couple mistranslations, but everything was so good that we really didn’t mind! We were here on a Saturday and it was apparent from the crowds of locals that this was more a locals spot than a tourist hangout. I don’t know the official name of the restaurant, but it was just on the other side of the TGI Friday’s at our hotel and WAY better. The food and beer were decently priced — my fish tacos restored my hopefulness that we would actually be able to get good food in Panama. 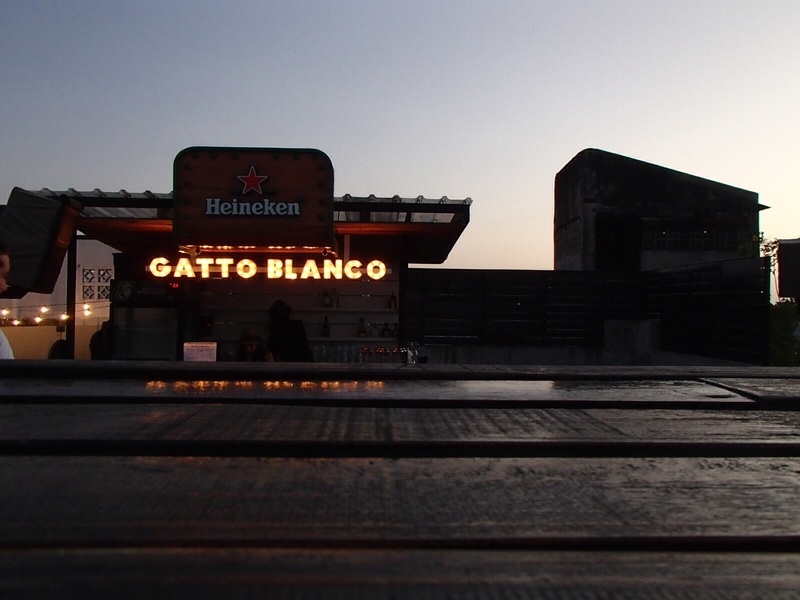 And the open air patio was a great place to catch the sunset over the canal. 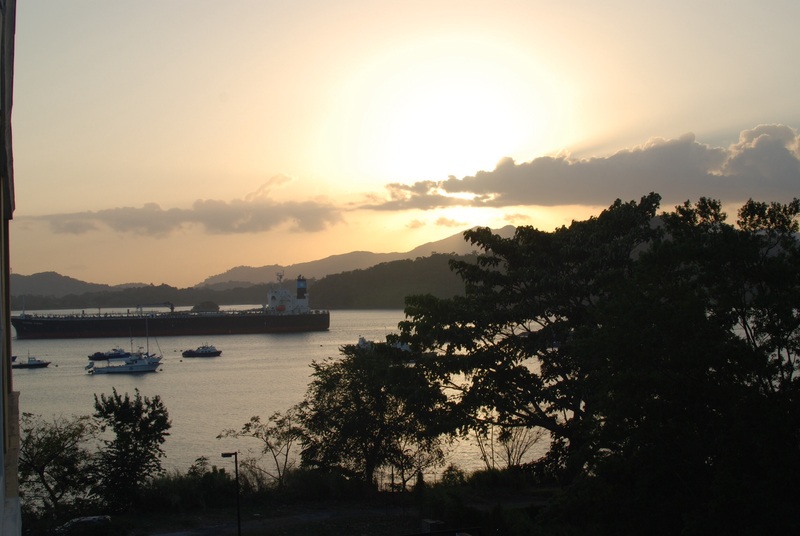 Sunset over the Panama Canal. We had the lovely rooftop lounge almost to ourselves at sunset. Once again the drinks were overpriced ($5.25 for a Heinikkan, yikes), but the views made it well worth it. We were much less impressed with the restaurant downstairs. The food was quite good, but expensive and small portions: we split a baked chicken entree and 2 sodas for $23. Not ideal for budget travelers. Tipping is 10% in restaurants. And often included in the bill. We found this out after leaving our waiter at TGI Friday’s a VERY nice (and completely undeserved) tip. It is also not standard to tip taxi drivers. Public bathrooms are not standard. After walking around for a half hour trying to find the elusive public restroom referenced on all of the tourist signs near the Mercado de Mariscos, we finally paid a woman 25 cents for Kyle to use a small trough. Brush up on Spanish. While you can get by with English in most places you will constantly feel like a tourist and haggling with locals is MUCH easier when you can speak the language. 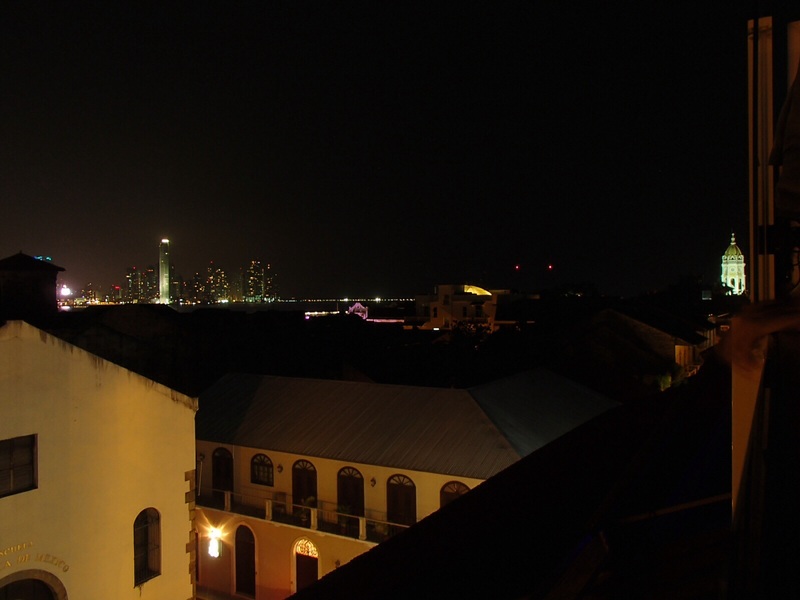 The Panama City skyline, from the rooftop bar at Gatto Blanco. We’ll be stopping back in Panama City for a couple days on our way to Ecuador, this time staying at a hostel in El Cangrejo. More on that area and downtown to come!